The Study Of Martial Arts - The Pathway To Self Defense! There are various types of martial arts that are practiced specifically for self defense. Most believe that the practice is a combination of both science and art. Disciplined training, self confidence and respect for others are the basic qualities of the martial-arts. For thousands of years and throughout the worldit was developed country by country as a pathway to self defense. Many people do not realize that martial arts originated from many different countries. Whether it be for exercise and body toning, Olympic competition or for personal self defense, the study and practice of martial arts provides mental discipline and physical balance like nothing else. Krav Maga was developed in Israel. This form of martial arts exemplifies hand-to-hand combat. Krav Maga includes the art of wrestling and grappling. This form can become brutally effective. Krav Maga is an interesting study of self defense in that the need for counter attacks came as a result of generations of people, the Jewish nation, who were and still are fighting for their heritage and land. Judo is a refinement of ancient Jujitsu. Judo is practiced by millions of artists throughout the world. From the youngest toddler to the oldest senior citizen, Judo provides a way for the body to stay in shape, development of self confidence and just for fun. 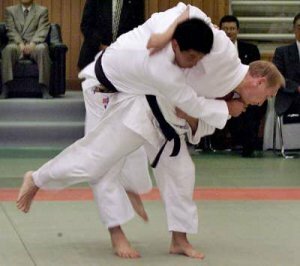 Judo is also a highly competitive sport that includes body pins, arm locks and choking techniques. Most small towns to large cities will house a local Judo studio. Karate developed in Japan thousands of years ago. Karate includes the elements of punching, kicking and knee and elbow strikes. Based in self defense and sport, Karate utilizes the element of open-handed techniques and vital point strikes. Hapkido is a strong self defense martial-art that includes joint locks and the use of weapons, like rope, cane, stick or a sword. Hapkido is a very strong self defense technique in that it utilizes both long and short-range tactics using the positioning of the body to avoid the use of strength to strength combat. This technique is particularly effective for women, as females are typically weaker pound for pound than their male counterparts. Taekwondo hails from the country of South Korea. This ancient art teaches kicking from a mobile stance using the leg's greater reach and power, as opposed to the weaker and shorter range of the arm. 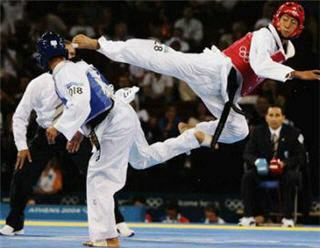 Taekwondo utilizes blocks, kicks, punches and open-handed strikes, take-downs and pressure points. It is great for self defense as the stronger, bulkier leg muscles are used. The study and practice of martial arts can be an enjoyment for the entire family and can be a source of personal pride and self confidence. Ultimately, its usage as a method of self defense is a proven art handed down through the generations for protection of family and country. Most masters would agree that that Krav Maga, Judo, Karate, Hapkido and Taekwondo are best for self defense.